Halloween is looming again, this is my first year really doing anything with Ruby, she was too afraid or young other years to really get into but she’s making up for it this year! Every day she has a new idea for a costume and we can’t walk through a shop without her pointing out pumpkins or bunting for the house. I’m gonna be honest here and say it’s never really been a favourite time for me, I don’t ever really recall enjoying it except for of course the loot of sweets I collected. But to be fair things have moved on a lot since most of us were kids and it’s really celebrated now which is kinda nice I think. 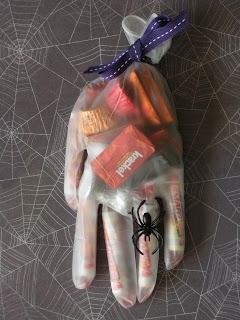 So some cool Halloween ideas I pulled together from Pinterest. Gift bags, I started doing this a few years ago because it was easier basically than kids coming to the door and grabbing handfuls of stuff, I love this idea. On the topic of loot, I try to keep it to a few small things, as a mum myself (and really not trying to be a killjoy) I know the volume of sweets Ruby will get this year will just make me cringe and I’ll be throwing out loads so rather than have that maybe all us mums could make a pact to just give small bits? I intend to buy little party favours in Mr Price this year to bulk up the bags, small bottles of bubbles for example, what kid doesn’t love bubbles? 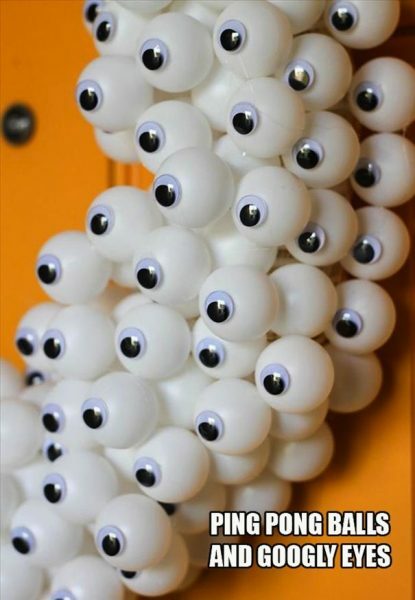 Decor, I love this simple idea, imagine a bowl full of these offered to the kids at the door! Party food, this is a fave of mine for a long time, jelly snakes! 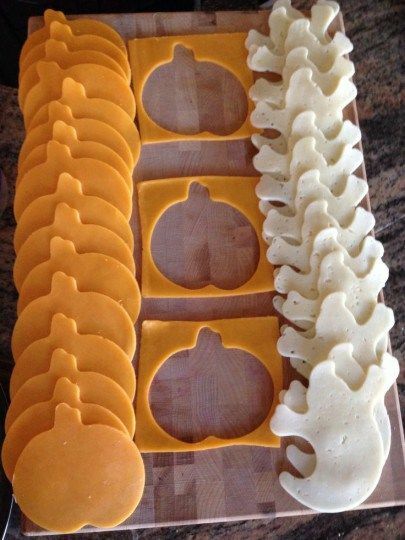 Or if you wanted to be more healthy, use cookie cutter pumpkin shapes or ghost shapes on slices of cheese. 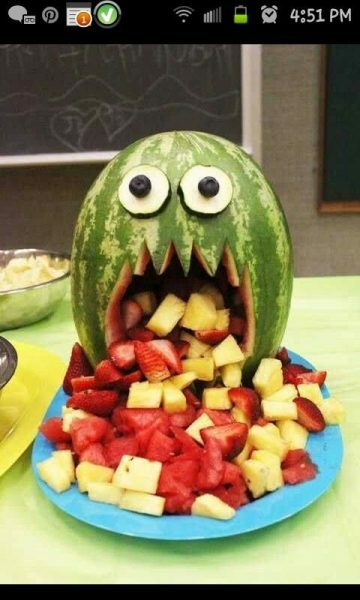 How about a melon with scary face cut into it? Or dip strawberries into white chocolate and pipe a scary ghost face onto the front? How about sausages wrapped in puff pastries to make sausage mummies, similar to below. I’m tempted to have a party myself after venturing onto Pinterest, some amazing ideas there…. Snuggle Boo is coming soon!